What was life like for ordinary American Indian children growing up on the American plains? In this handsome new volume from independent publisher Wisdom Tales, editor Michael Oren Fitzgerald pairs quotations from Indian chiefs and elders who lived in the days before native people were forced onto reservations with rare sepia-toned photographs to conjure up a nomadic way of life that vanished long ago. The book does not unfold in traditional narrative non-fiction style; instead the editor has compiled two page spreads complete with quotations, antique photos as well as modern photos of artifacts of Indian life. 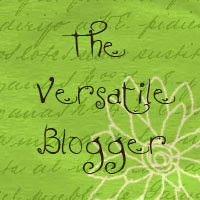 He covers a wide array of different topics relevant to children's lives. These include: mothers, play, story-telling, daily camp life, horses, great chiefs, and more. Because there is no narrative from the editor as part of the text, the quotations and photographs together evoke a nostalgic view of the American Indian experience on the Plains. The editor emphasizes the native people's spiritual connections to the land as well as lighter topics. 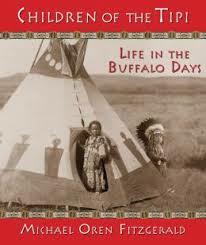 The book ends with beautiful color photographs of modern American Indian children at festivals, dressed in traditional garb, with the headline "But many traditions live on..."
An endnote provides more information about editor Michael Oren Fitzgerald, and a bibliography of his books for children and young adults. I would have liked to see appropriate websites and books by other authors offered as resources as well. With the implementation of the Common Core, there is an increased need for excellent nonfiction books for young people. Children of the Tipi would certainly make a strong addition to classroom and library collections about American Indian culture, but it's also a volume that parents would enjoy sharing with their children at home. Note: Review copy provided by publisher. This sounds like a great book! I'm looking forward to reading this book to my daughter. It sounds wonderful! I like the combination of sepia photos and information that lets the reader draw the story out for themselves.